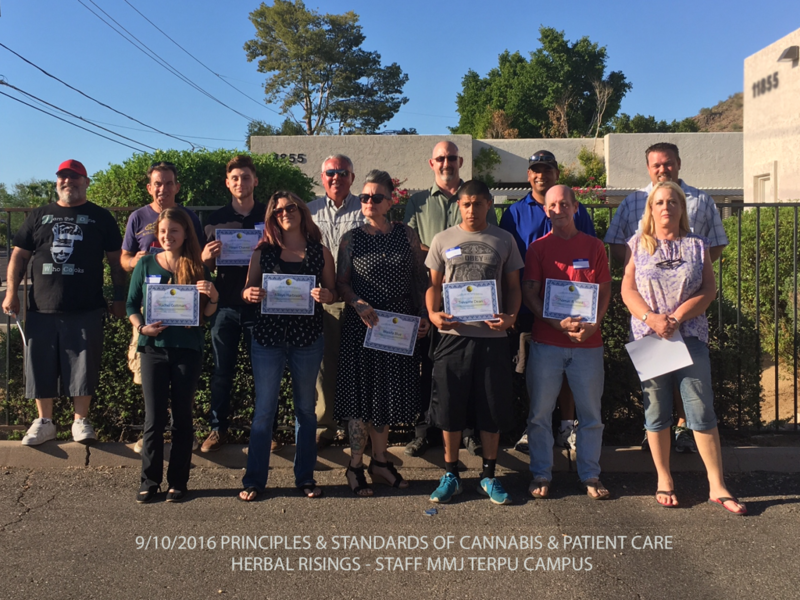 On Saturday (9/10), Staff MMJ hosted another “Principles & Standards of Patient & Cannabis Care” group class at the Staff MMJ TerpU campus. 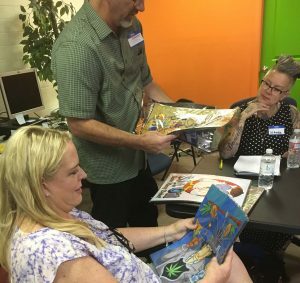 The atmosphere was bubbly and the air was thick with passion– passion for cannabis and the future. Could it have been that many of us are still flying high from the promising green rush wave of the future? It could have been that we were excited for the new marijuana jobs are opening due to new dispensaries in town. Or perhaps it was our anticipation for the future of Staff MMJ – and for Herbal Risings. Whatever the reason, we were all on cloud nine that day! A big shout-out to Ashley and Hailee for braving the heat and directing visitors to their designated areas! 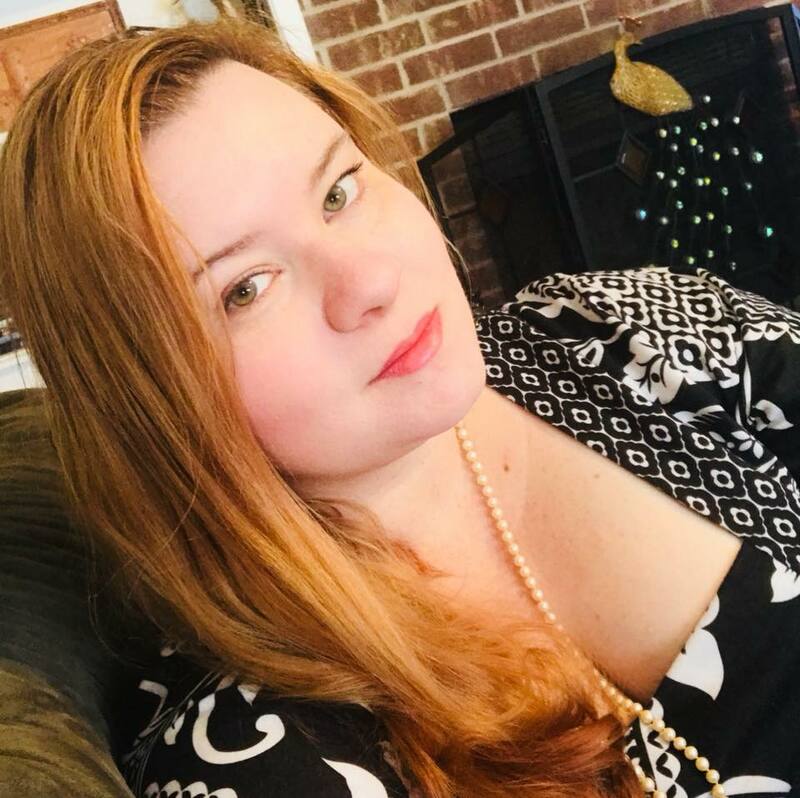 Welcome to our Newest Guest Speakers! We had Nate Nichols from the New Times guest speaking on campus. 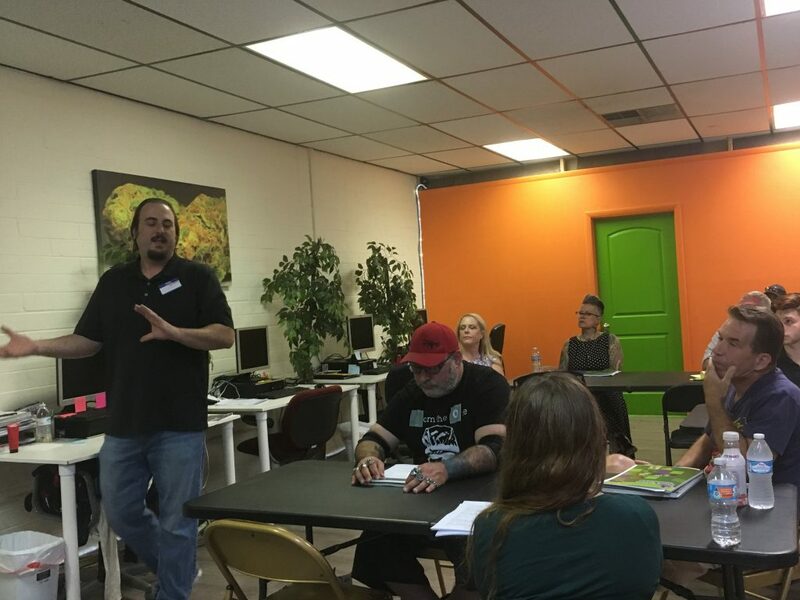 Nate presented on importance of established integrity in the lab testing world of cannabis, and talked about the future of Arizona’s legalization efforts. He also invited and answered questions about working in the industry. 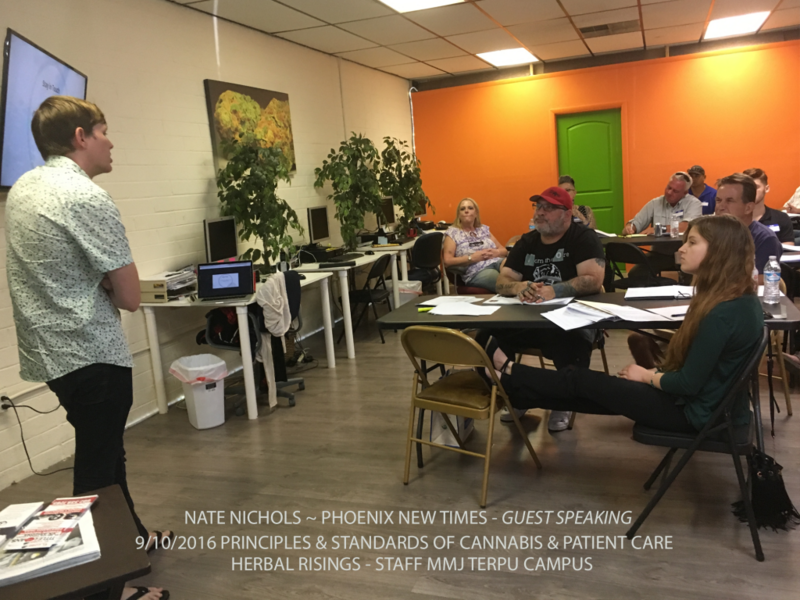 Nate is a contributing writer at Phoenix New Times, specializing in cannabis industry reporting. Even though he doesn’t work hands on with the plant, Nate is a perfect example of how cannabis creates opportunities. He will be back for the September 24th budtender class, so if you’re planning on attending, make sure to have your questions ready! New to the TerpU campus, we had Jake Anderson presenting for Weeder Media. Jake delivered a solid presentation on the Weeder App– an app which allows users to receive deals, discounts, and live updates. Think of it as the Groupon of Cannabis, Jake said. (I had a busy week of picture-taking, and forgot to empty my storage before class. So, unfortunately, we have no photos of Jake. Lesson learned.) 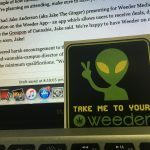 We’re happy to have Weeder on our team, and hope to see you back again soon, Jake! A very special thank you goes out once again to our host & Potfessor, Dwayne Bratcher. Dwayne opened with light legalization talk before diving into the workbook material. A big congrats goes out to everyone who won prizes for class participation! Who doesn’t love an Inspector Gadget Dab pad? With bellies full of pizza, class returned from break ready to learn more about patient care. We ended the second-half of the class on a high note with the Herbal Risings Sniff Challenge terpene game. For your viewing pleasure, we’ve included some of the photos with this update. Special thanks to Ashley and Hailee for helping me with photos and videos. At 6pm, class was finished and it was picture time! We know it’s rough to take a photo after sitting in class for six hours, so we really appreciate everyone being involved in the class photo! Congratulations, September 10th class! 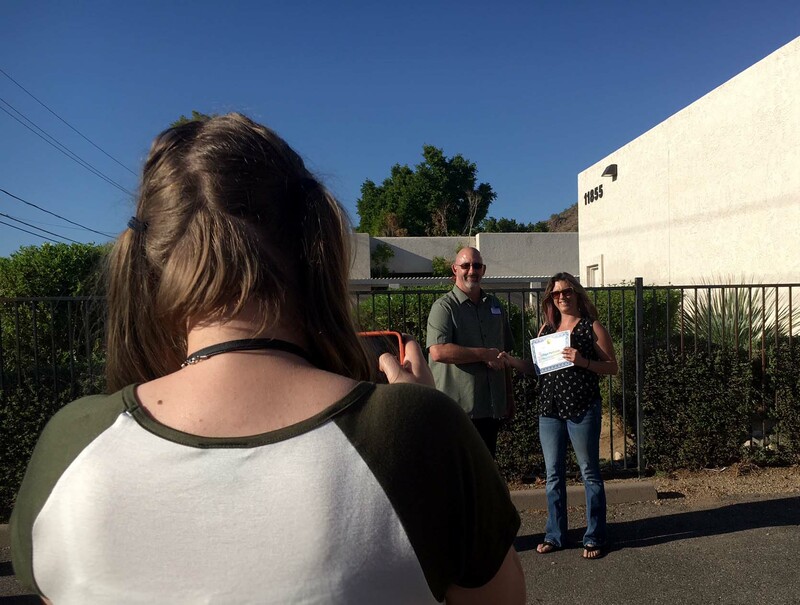 Look out, Phoenix, here come the latest Herbal Risings stars. 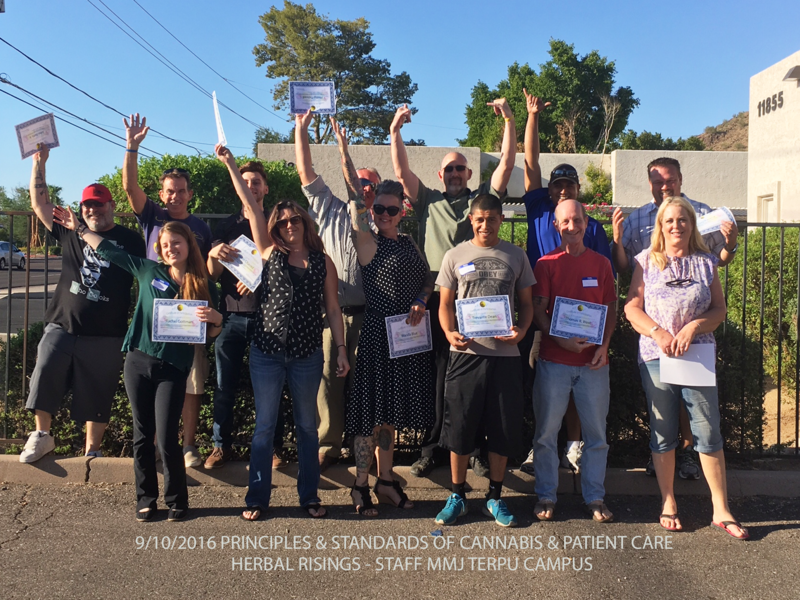 For information about our upcoming classes or online budtender courses, call 602-476-8868 or visit HerbalRisings.com. 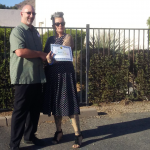 If you are a licensed dispensary agent, be sure to contact us for referrals to the latest Herbal Risings grads!